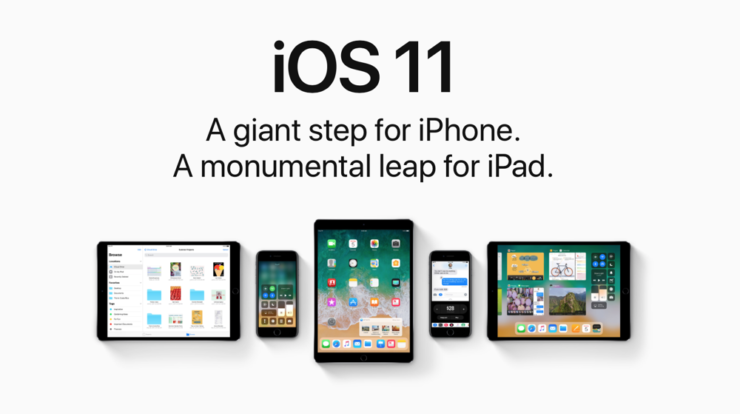 Apple has officially announced the iOS 11 software update for iPhone, iPad and iPod touch devices. Here’s everything you need to know. Apple has finally announced the next-generation of its mobile operating system, iOS 11. Here are all the features which Apple showed off on stage. The Messages app is seeing a few updates of its own. 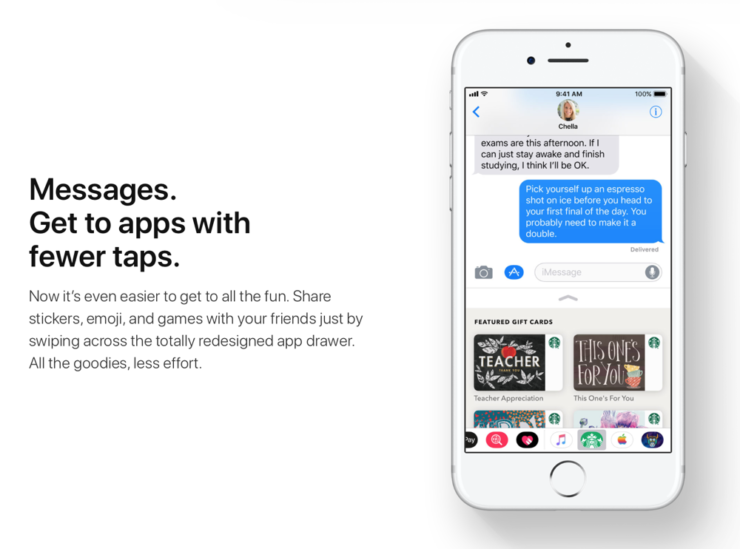 There’s a redesigned app drawer that focuses on all the iMessage apps you have currently installed, ensuring far quicker access than before. 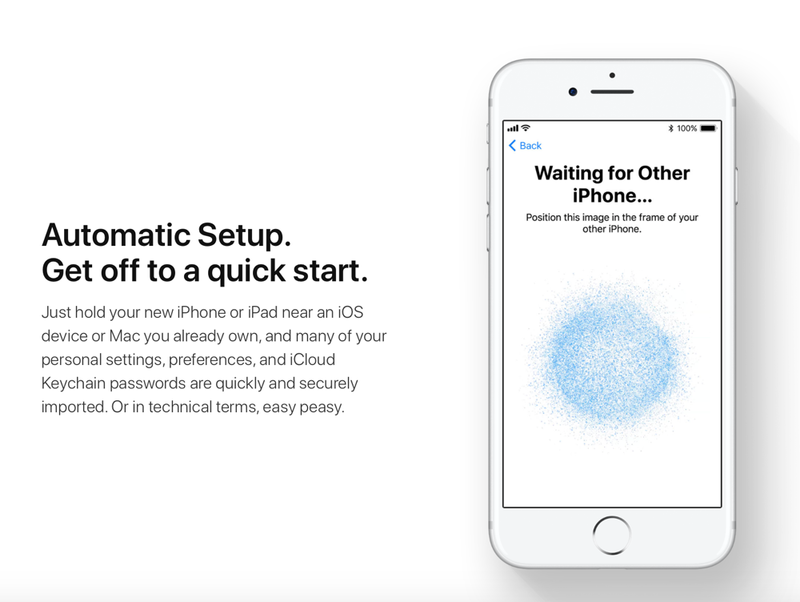 Apple also announced ‘Messages in iCloud’ which ensures a far better syncing experience of messages across multiple devices. For Instance, if you delete a message on your iMac, it will go away on other devices as well. Pretty handy, and a much needed addition too. Last but not least, message backups are far more optimized than before, on both iOS and macOS, taking up less storage. And yes, they’re end-to-end encrypted too. 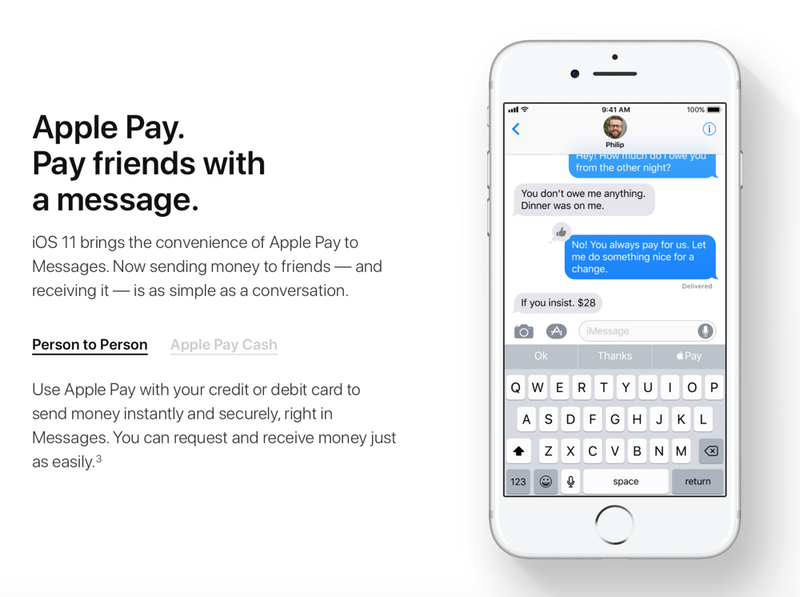 With iOS 11, users will be able to utilize Apple Pay from the Messages app. But get this – you can send payments from person to person straight from Messages. In case you’re wondering where the sent or received money goes: it lives in the new Apple Pay Cash Card. You have the option to send money to anyone you’d like or just send it over to your bank account. According to Apple, 375 million devices support Siri, and with iOS 11, the company is taking things further. Siri now has an upgraded voice that sounds more natural and actually changes the way she talks using Deep Learning. 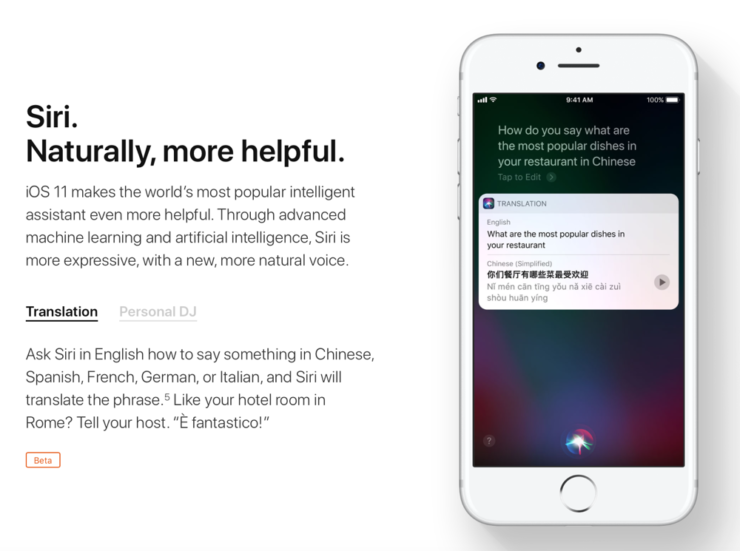 Siri can now do follow-up questions with a single tap and can even translate stuff on the fly. But keep in mind that the latter feature is in beta and only supports a handful of languages. The supported languages are as follows: English, Chinese, French, German, Italian and Spanish. SiriKit has been opened up even further, allowing users to interact with even more services and apps. If you think the above features are awesome, then you’ll be blown away by the next one: Siri can now predict what you will do next and can offer actions based on your situation. This means Siri will tell you whether you should respond with a location, or make a calendar entry based on your location. Or even suggest you to read an article in context to what you are doing. Everything that happens is absolutely private and the machine learning bit is synced across your devices as well. Apple is introducing support for HEVS with iOS 11. This means that 4K content will take far less storage space, which directly means it’s great news for 32GB device owners. The JPEG format is being replaced with HEIF too. This offers double the image quality with half the size. And of course, you will be able to share these images with anyone just fine. It’s highly likely these images will be converted to JPEG before being sent off. But we will know for sure in the time to come. This is a big one. 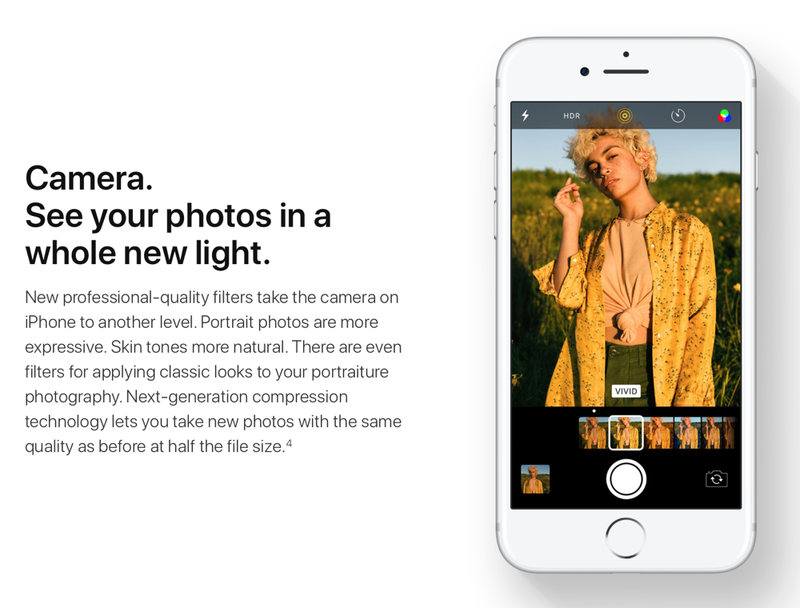 Apple is opening up its Depth API to developers so that they can take advantage of the iPhone 7 Plus’ secondary sensor for bokeh effects. But that’s not all, improvements to the Camera app have been thrown into the mix as well. This equates to better image quality, improved low light performance, superior optical image stabilization and more. The Memories section of the Photos too is getting a redesign. And Live Photos can now be trimmed down. 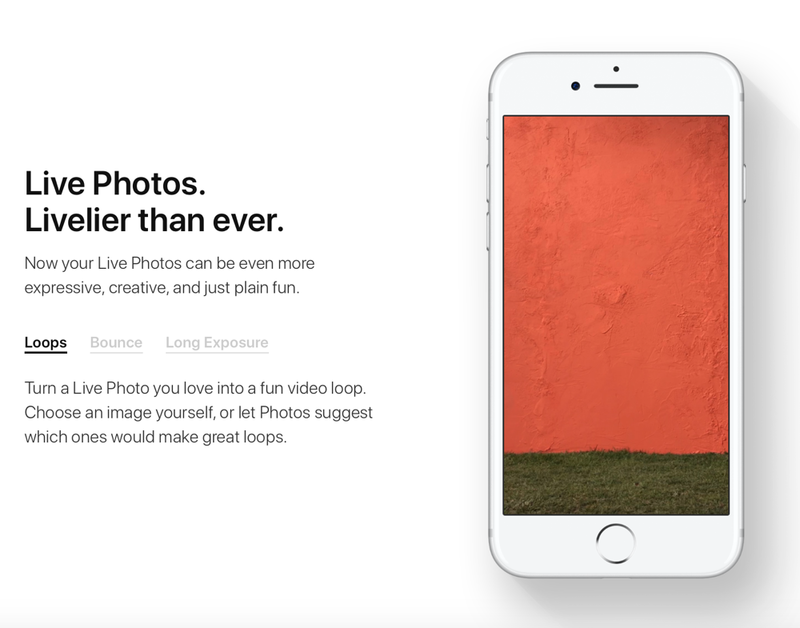 Things are topped off with the ability to select any part of the ‘Live Photo’ as the key shot. 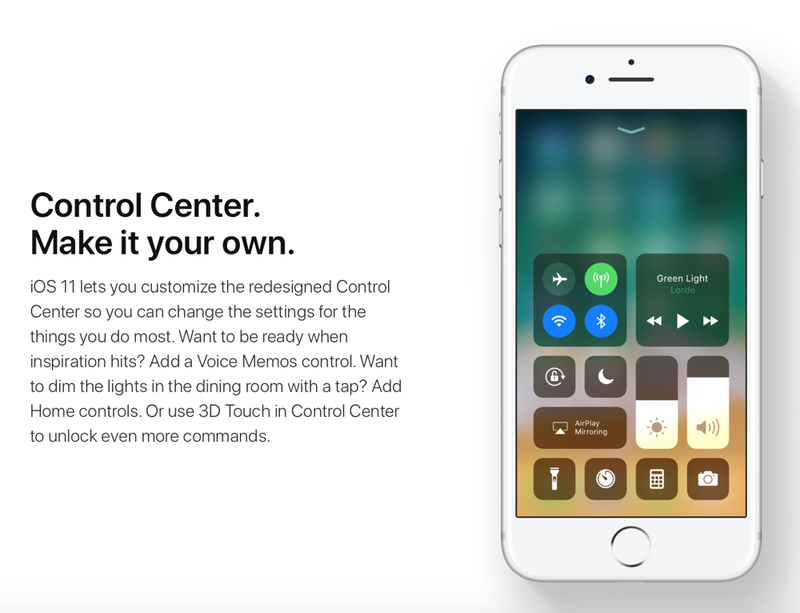 Control Center is getting a mighty update in iOS 11. Every single control is bigger than before and 3D Touch allows you to reveal more options as well. All in all, it’s a design boost which everyone needed, that too without having to swipe much around. Lastly, the Notification Center and lock screen has become a single place for everything you need to know. Unlike how it was before. 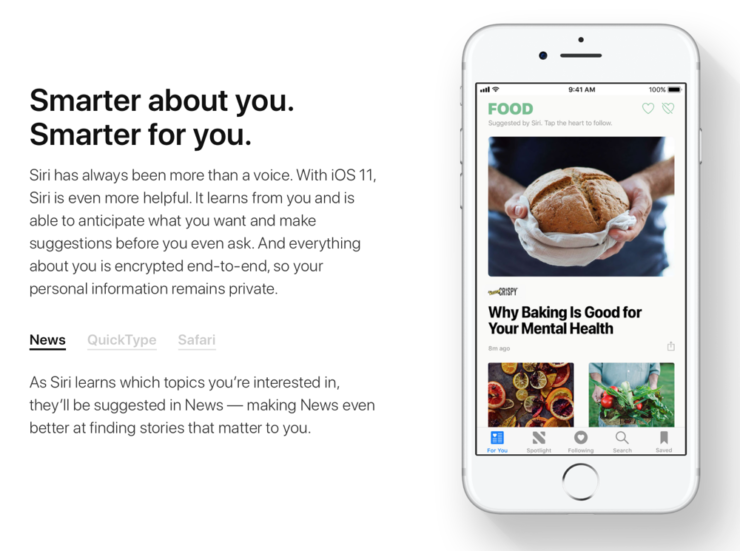 Machine Learning plays a key role in iOS 11 and it’s highly likely that iOS 11 is only the beginning of things to come. Using Machine Learning, your device can be extremely proactive and can throw suggestions at the right time. For instance, even autocorrect will suggest you words based on what you were reading or just checking out. Apple is giving the Maps app a good bump too. 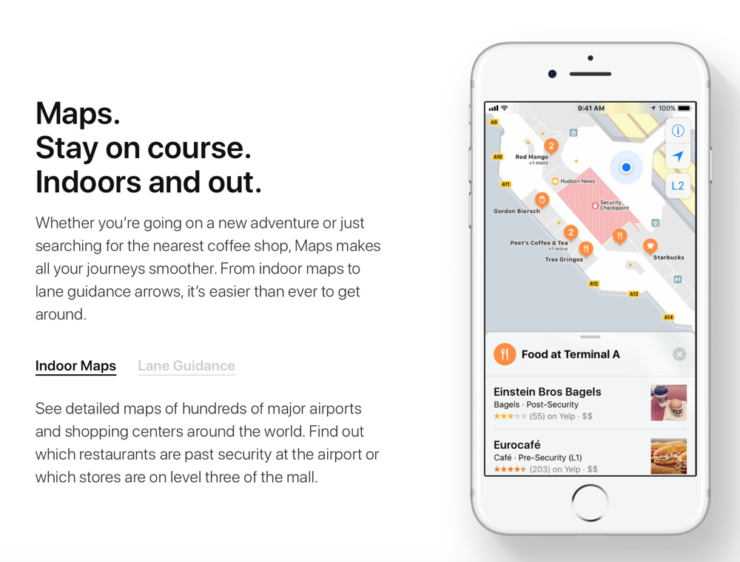 It plans on doing so by adding indoor maps for malls. Currently, it’s available for just 8 cities – Boston, Chicago, Hong Kong, London, Los Angeles, New York, Philadelphia, San Francisco, San Jose, Tokyo and Washington DC. Airports are getting internal maps too with more than 30 being in the list. While navigating, you’ll see certain improvements as well, such as lane guidance. 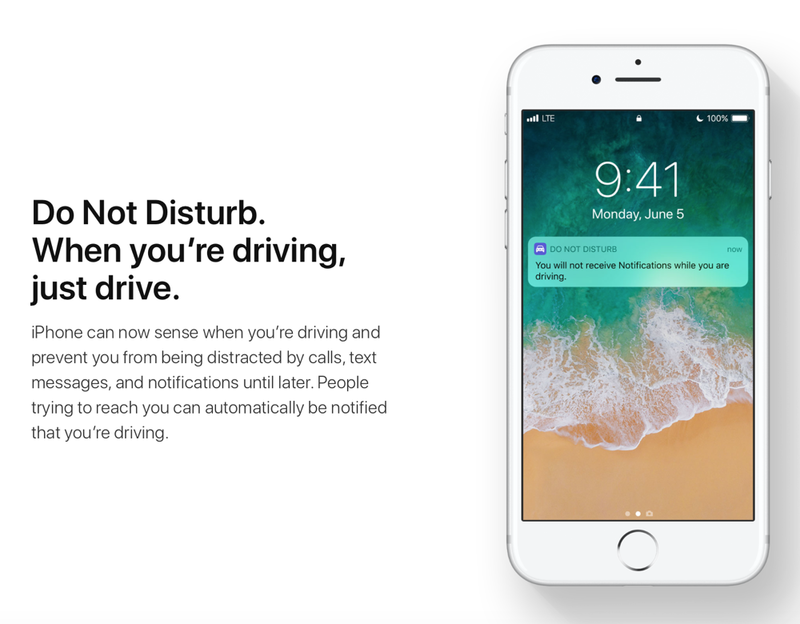 Using Bluetooth and WiFi, your iPhone creates a Doppler effect, turning off notifications and the display while you’re driving. If you try to override the feature, it will simply give you a notification suggesting you otherwise. If someone sends you a text message, your iPhone can inform them that you’re driving and will get back real soon. 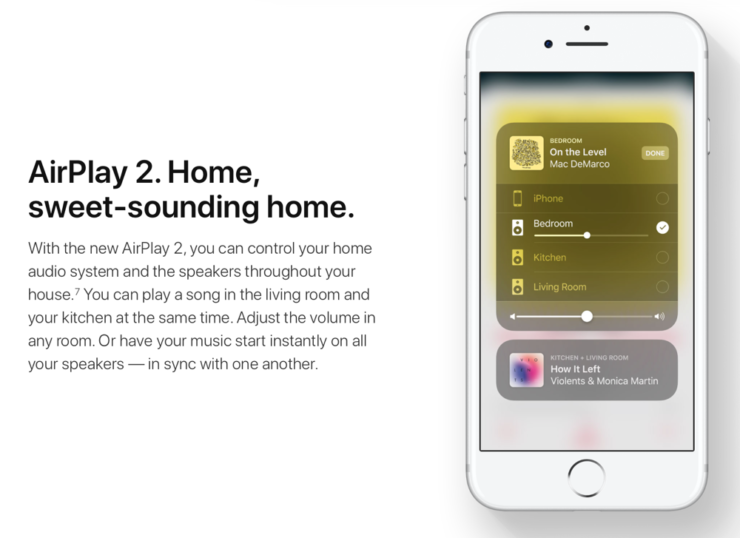 A new category of HomeKit devices has been introduced, and they’re Speakers. Yes, you will soon be able to grab yourself HomeKit certified speakers that work flawlessly with your iOS ecosystem. Multi-room audio has been introduced as well. And as the name suggests, you can cast to two places at once and take control of both on an individual basis. Apart from that, AirPlay 2 has been introduced too, which takes the original protocol to the next level. Care to know what your friends and family members are listening to on Apple Music? 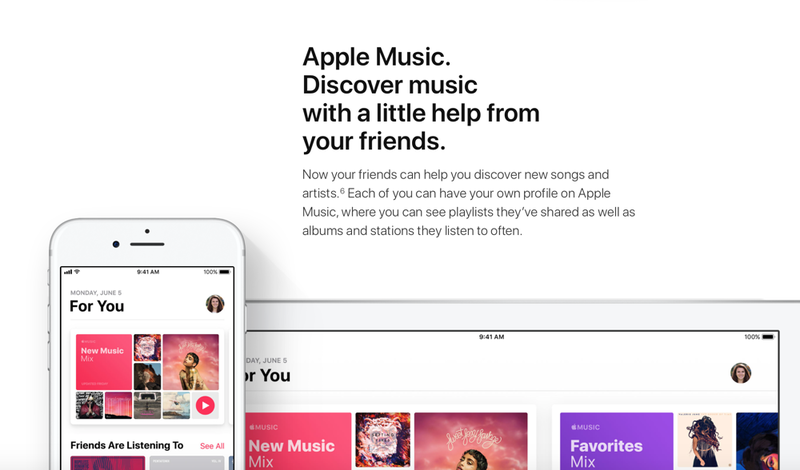 With Apple Music in iOS 11, you can. Of course, you can turn this feature off if you so wish. MusicKit is now available to developers, meaning Apple Music integration is coming to other apps such as Shazam etc. The App Store is getting a huge redesign in iOS 11, and we will be covering this in a separate post. What’s better than Metal? Meta 2, of course. With the new implementation, developers can utilize hardware to its maximum capacity, ensuring maximum performance related benefits. It’s not a surprise at all. But yes, Apple will be opening up Machine Learning APIs to developers for smart apps that are context aware. But keep one thing in mind: everything happens on-device, which means your privacy is absolutely protected. So they say. A feature that which is rumored to play a key role in the iPhone 8, augmented reality is having its foundations laid with iOS 11. With the new ARKit, your iPhone or iPad will be able to identify surfaces and you can place virtual objects on them. Basically it’s a feature developers can mostly play around with and come up with intuitive apps. ARKit is capable of doing a lot of things, such as motion tracking, plane estimation with basic boundaries, ambient lighting estimation, scale estimation, support for Unity, Unreal and SceneKit. This in turn means that games are about to get a whole lot crazier in the future. And yes, this feature will be available on ‘hundreds of millions’ of iPhones and iPads, which is absolutely slick. 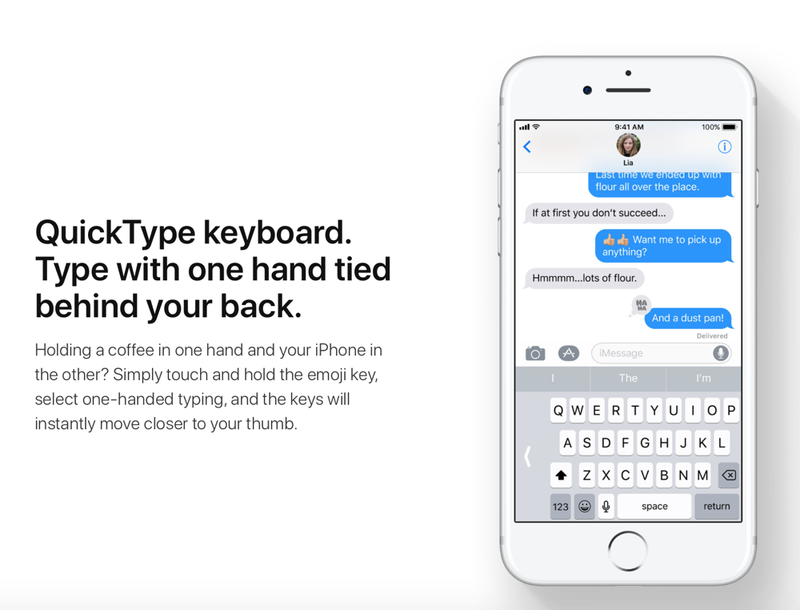 Lay back, relax, kick into one-handed mode on the Quick Type keyboard and you’re all set for a long IM session. So you bought a new iPad or Mac. Just place the device near your existing iOS device or Mac, and watch how seamlessly everything gets set up. Magic, right? Last but not the least, iOS 11 will include features that are specific to the iPad such as macOS style Dock for switching between apps. We will cover this feature in more detail in a separate post. 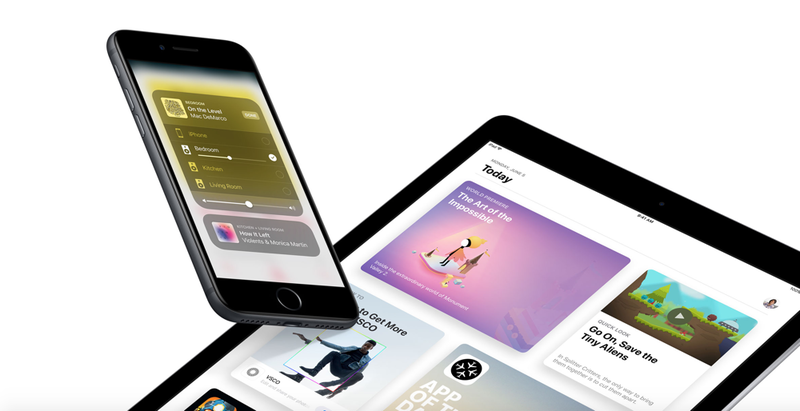 iOS 11 Beta will be available today with the final build set for release in the Fall. The iOS 11 Beta is available to download right now.